Juxtapid (lomitapide) is a medication used to mainly lower total cholesterol levels, LDL, and apolipoprotein B levels — along with diet and other treatments — in individuals with homozygous familial hypercholesterolemia, a rare, inherited a condition that causes very high LDL cholesterol levels and cardiovascular disease early in life. Juxtapid was approved for use in the United States by the Food and Drug Administration in December 2012. Juxtapid has only been thoroughly studied in people diagnosed with homozygous familial hypercholesterolemia — and not in individuals with other conditions causing high cholesterol levels. In one study, Juxtapid 5 to 60 mg daily was administered to individuals already taking other cholesterol-lowering therapies for their very high LDL cholesterol levels. This study revealed that adding Juxtapid to other therapies lowered LDL levels by up to 50%. Triglyceride levels, apolipoprotein B levels, ​VLDL and total cholesterol levels were also significantly reduced. Another study examined the effectiveness and safety in individuals with the same medical condition taking Juxtapid alone to lower cholesterol levels. At the conclusion of this study, at a dose of 1 mg/kg/day, LDL levels and apolipoprotein B levels were also lowered by about 50%. Although these findings helped significantly lower cholesterol in this patient population, they have also revealed the Juxtapid can cause significant side effects — including gastrointestinal side effects and liver disease. Additionally, since these studies have only lasted up to 78 weeks, other studies are currently being conducted to determine the long-term safety and effectiveness of Juxtapid. Juxtapid lowers LDL cholesterol by blocking microsomal triglyceride transfer protein (MTTP), a molecule in the body that prevents VLDL and chylomicrons from being made in the liver. Because VLDL is converted into LDL, this will also reduce LDL levels in the blood. Juxtapid should be taken by mouth, with a glass of water, on an empty stomach. It is suggested that the medication is taken at least two hours after dinner. Your healthcare provider will run blood tests — including examining liver enzymes and cholesterol levels — before prescribing Juxtapid to you. Elevated liver enzymes and the accumulation of fat in the liver have been strongly associated with taking Juxtapid. Therefore, your physician will need to take a periodic blood test to determine your liver enzyme levels, which include alanine aminotransferases, aspartate aminotransferases, and alkaline phosphatase, in addition to monitoring your cholesterol levels. Due to these side effects, Juxtapid carries a "black box warning" for hepatotoxicity, which is a strong warning issued by the Food and Drug Administration due to the fact that this side effect has been noted in studies examining the drug's safety. Because of the potentially harmful effect, Juxtapid has on the liver, your physician will have you enroll in a restricted program, referred to as the Juxtapid REMS program. 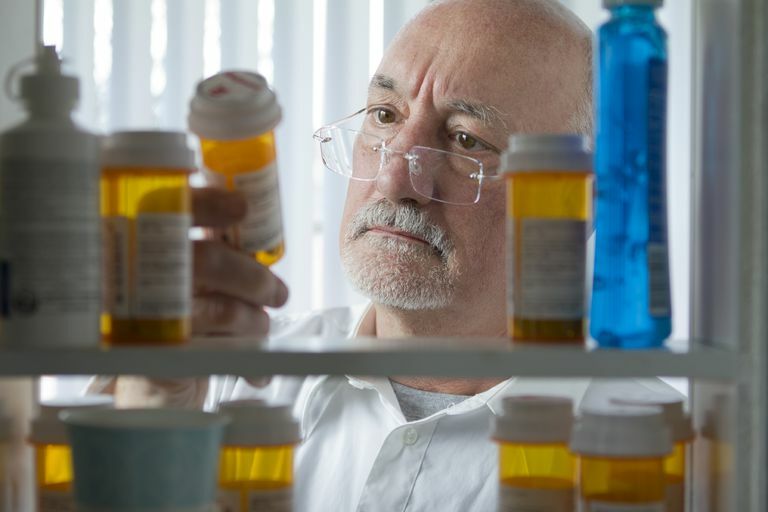 Under this program, only physicians and pharmacies that are certified in understanding the medication and its risks can prescribe and distribute Juxtapid. Gastrointestinal side effects, such as nausea, vomiting, heartburn, diarrhea, constipation and abdominal pain, have been the most commonly reported side effects in people taking Juxtapid. Some individuals have also reported experiencing weight loss, chest pain, and fatigue while taking the medication. Individuals with liver disease – Juxtapid can further increase liver enzymes such as transaminases and increase liver fat. People with kidney disease – Juxtapid levels could increase in the blood. Women who are pregnant – Juxtapid has been shown to be harmful to the fetus in animal studies. Women capable of reproducing will need to have a negative pregnancy test before starting Juxtapid and will need to use some form of effective birth control while taking the medication. Women who are nursing – Juxtapid has not been extensively studied. Because of the potential for tumor development in mice, it is recommended that nursing — or the drug — should be discontinued. There are certain medications that may interact with Juxtapid, which may result in affecting the concentration of Juxtapid or other medications in the body. The following is a brief list of medications that could interact with Juxtapid so if you take one or more of these medications, you should consult with your doctor. Fat-soluble vitamins and nutrients, such as Vitamins A, D, E, and K, and omega-3 fatty acids, may not be absorbed as well while taking Juxtapid. Juxtapid may increase blood levels of certain blood thinners, such as warfarin, in the blood. This could cause you to bleed or bruise more easily. If you are taking atorvastatin or simvastatin, Juxtapid may increase blood levels of these medications. Your doctor may modify your dose of these medications while taking Juxtapid. Because of the way Juxtapid is metabolized in the body, it could increase blood levels of other medications you are taking — therefore making the medications more toxic. These include certain antifungal drugs, antibiotics, antiviral drugs, blood pressure medications, drugs used to treat heartburn, and natural products (such as goldenseal, grapefruit). Therefore, you should keep all of your health care providers informed of any medications that you are taking so that they may adequately screen for potential interactions with Juxtapid. Your doctor may decide to modify your dose of Juxtapid or other medications if an interaction is detected. Juxtapid is the first cholesterol-lowering medication approved that inhibits MTTP. Although studies have shown that Juxtapid adds additional LDL-lowering ability in individuals who have familial homozygous hypercholesterolemia, there are many safety issues associated with Juxtapid and its use has been restricted to this specific disease state because of these risks. Your physician will assess the benefits of taking Juxtapid, along with the risks of experiencing side effects with the drug. Because the long-term effects of taking Juxtapid are unknown — including its ability to prevent cardiovascular disease — there are studies currently ongoing to examine this. Cuchel M, Meagher EA, Theron HD, et al. Efficacy and safety of a microsomal triglyceride transfer protein inhibitor in patients with homozygous familial hypercholesterolemia: a single-arm, open-label, phase 3 study. Lancet 2013; 381(9860):40-6. Cuchel M, Bloedon LT, Szapary PO, et al. Inhibition of microsomal triglyceride transfer protein in familial hypercholesterolemia. N Eng J Med 2007;356:148-156. Juxtapid ® (lomitapide) Package Insert. Aegerion Pharmaceuticals. March 2016.